The necklace is made of simple, well-made black beads (in this instance they’re black hematite, but they could easily be onyx, or black glass, or ceramic). The idea is that the beads are strong, and simple, and don’t compete with the pendant. 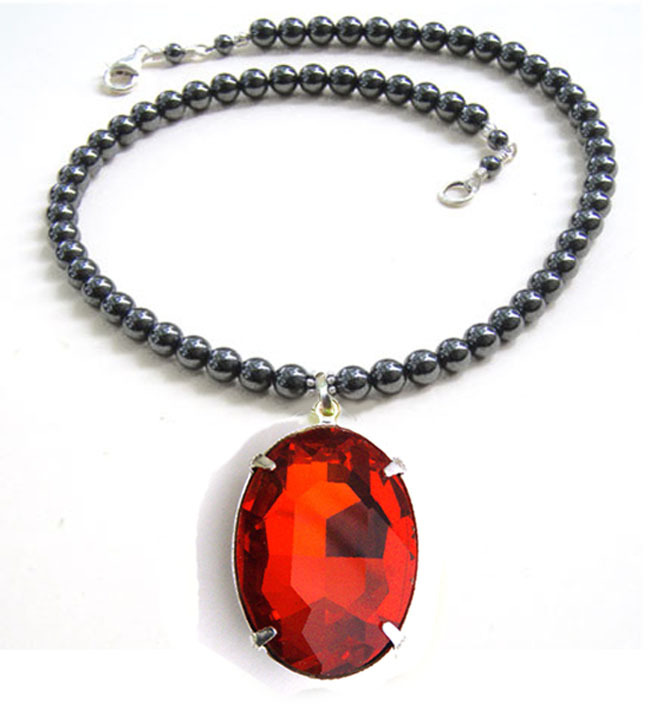 And the pendant is a fabulous bright red rhinestone oval that measures a bit over 1″ high. Not huge, but look at the impact! That’s the beauty of designing your own jewelry – for yourself for gifts. You can customize colors, materials, and sizes – how bold you want to be, or how delicate. Do it yourself, save money, and make exactly what you want!